There were plenty of fireworks in the city last week -- even before the festivities at East Park. 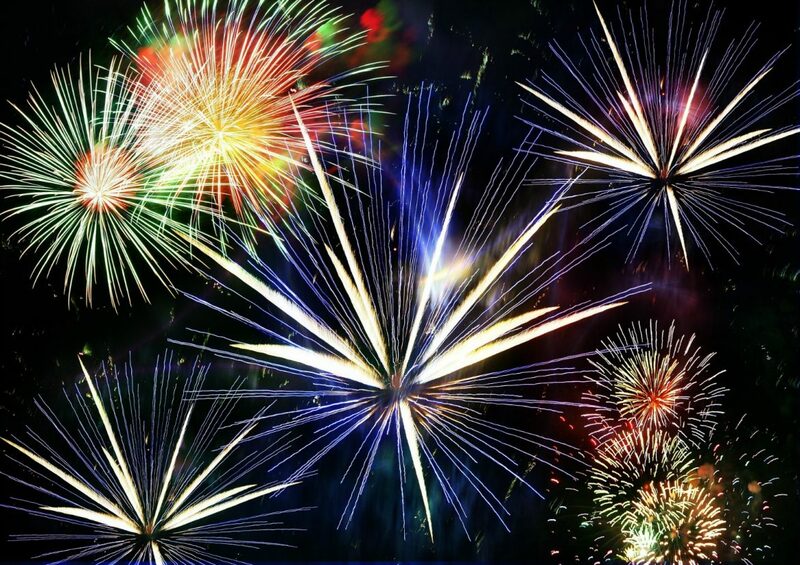 Worcester just enjoyed a week of dazzlers — and that’s not even counting Friday’s Independence Day fireworks display. The succession of positive news flashes runs the gamut, and in some cases calls for patience or for optimism tempered by caution. But in the glow of a holiday stretch and with summer just getting started, we might as well sit back and enjoy it. In terms of practicality and overall impact, the Central Building at 332 Main St. may be the biggest cause for celebration in Worcester’s good-news week. Until a couple of years ago, the former office building had been on the demolition list. On Wednesday, the state announced that it will help redevelop it for housing. Of 55 apartments planned, 14 will be “workforce housing,” meaning they will go to people who have jobs but still can’t afford market-rate rents. The plans, slated for completion in December 2018, include commercial space on the first floor. Lt. Gov. Karyn Polito said Massachusetts will provide $19.8 million in investments and tax credits for the project. It is a tremendous vote of confidence in a stretch of downtown that has lagged in the city’s push to revamp and revitalize the key blocks around its core. The sorest need in Worcester’s downtown is people who are engaged and made to feel welcome. The come-and-go of residents, workers, students and visitors creates the essential dynamic that brings business to street fronts and draws even more people to the variety of destinations available to frequent and explore. This long-sought rescue and repurposing of the Central Building represents the kind of nuts-and-bolts work that will be immeasurably good for Worcester. We particularly welcome more workforce housing downtown as a way to promote overall diversity and livability — and to keep from driving out too many of the blue-collar folks who live in and around the city’s hub. An interesting, liveable city also includes projects that catch the eye. For “wow” factor last week, the judgment goes to Monday’s announcement concerning the silent old courthouse in Lincoln Square. An experienced Boston developer said it plans to spend about $53 million to convert the prominent and complicated structure into about 125 apartments — half of them workforce housing aimed at attracting artists and other members of the local creative community. Retail space is also in the proposal. The developer, Trinity Financial, is paying $1.3 million for the Worcester County Courthouse. That’s a nice gain on the $1 the city paid the state for the property in 2014. To ready the property for potential reuse, Worcester invested substantially in asbestos removal and other work that helped pave the way for Monday’s big moment. An additional, and surprising, plus is that City Manager Edward Augustus Jr. said the sale to Trinity Financial does not include tax breaks for the developer. The plans for the courthouse transition look promising. But we aren’t “oohing” and “aahing” just yet. First, remember December’s disappointment, when New Hampshire-based developer Brady Sullivan Properties pulled out of a $1.2 million deal with the city that would have brought about 115 apartments to the repurposed courthouse. Also, Trinity Financial’s track record isn’t flawless. It withdrew from a huge project in Lowell two years ago, and was prominently featured in a 2009 Boston Globe report concerning developers that were thriving in Boston and that had made campaign contributions to then-Boston Mayor Thomas Menino. This is one to watch — and we hope for success at the proud old courthouse. Carried out with flair, the large, mixed-use apartment building would complement and elevate a highly innovative corridor of the city. More people happily housed in Worcester means, of course, more people trying to bust out of town as quickly as possible on beach days. Now, Rectrix Aviation is helping that along. At Worcester Regional Airport Tuesday, officials announced a new half-hour hop to Hyannis. Rectrix launched the service on Thursday. One-way tickets start at about $150 and climb to about $400. 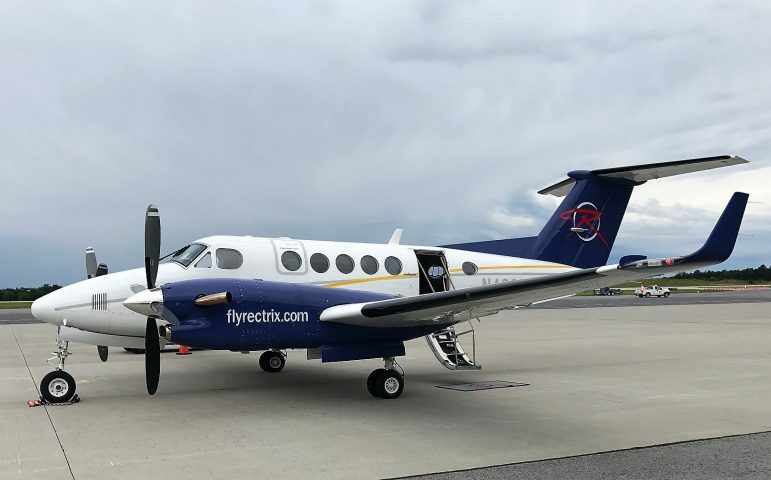 The summertime flights run Thursdays, Fridays, Sundays and Mondays, and the low-flying turboprop plane can carry nine passengers. This is a fun, if somewhat pricey, higher-end transportation option few would have predicted five years ago. Worcester’s airport is becoming ever more relevant, thanks to expensive category III instrument landing system upgrades nearing completion, along with development progress elsewhere in the city. JetBlue’s arrival less than four years ago signalled the turnaround for the long-troubled airport. Next year, Worcester’s travel horizon is set to widen greatly when JetBlue begins flights to and from New York City in addition to Orlando and Fort Lauderdale, Florida. Down-to-earth on Apricot Street, meanwhile, a much-needed infrastructure improvement announced midweek will make a tremendous difference to future students of South High Community School. The Massachusetts School Building Authority approved the school district’s plan to replace the school. The project is expected to cost a jaw-dropping $191 million — more than twice the cost of Worcester Technical High School, which opened in 2006 at a cost of $90 million — and aims for completion by 2021. The approval for an all-new South High is a strong step forward in a city where building deficiencies and air quality issues at some schools — Doherty Memorial High, Burncoat High and others — have been an embarrassment and an impediment. Unflagging attention to education and all the issues surrounding it is fundamental to the community we want. In a city moving in the right direction, plenty of appealing things come without ribbon-cuttings, huge headlines and enormous price tags. Recreation Worcester launched last Monday for its third summer providing jobs and supervised fun for youths at 10 city parks — for free. The also-free Out to Lunch summer concert series is up and running, and an old favorite, Movies on the Common, is set to return next week after a two-year hiatus. Things are far from perfect in Worcester, but here and there, big and small, there are all sorts of sparklers illuminating the city’s future.